We kicked off our 25 Days of Christmas Advent activities last week with our girls and started off with a fun and simple activity. We gave our girls Chocolate Advent Calendars as this was a tradition for me growing up, so I love to pass on the tradition. The other part of our 25 Days activity (as the Advent calendar was not really an activity) was to write a letter to Santa. My girls love to write a special letter to Santa and we are going to send it to Santa in the hopes that he will get our letter and respond. That’s why I choose this activity for early in the month so there’s time to write the letter, send it & and hopefully get back a reply. 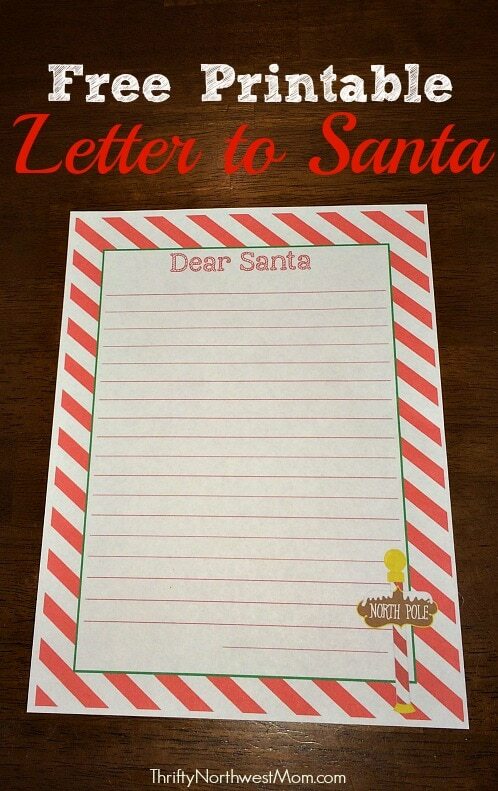 We know that sometimes a Santa Letter Template can be useful to others wanting to do this activity, so we created this free printable Santa Letter so your family can download and print it to get your Santa letter writing activities started! It’s not too late to do a Christmas Countdown if you’re interested – you can do 12 days, 10 days , 5 days – you name it! It’s all about spending intentional time together as a family as you count down to Christmas. We’ve got a big list of fun Christmas activities to do in December to check out. We also love to read a Christmas book a night in December leading up to Christmas – you can find our favorite Christmas books for kids, too. We have created a FREE printable letter to Santa that you can print off to use with your kids! It’s very festive & fun and my girls had fun writing a letter to Santa with a few of their favorite things they’re hoping to get for Christmas. All you need to do is download the PDF and then you can print it off and you can save it on your computer to use year after year. It’s also fun to take a picture or copy your child’s letter to Santa before you send it off, so you can show them years from now or add to a scrapbook. One idea for the Letter to Santa is to have your child bring it with him/her if you go visit Santa for pictures in December. Your child can then give his letter to Santa to read. However, another fun idea is to mail your letter to Santa and hope you’ll get a response back before Christmas. We did this last year and sent off our letter but we didn’t receive a response. After looking it up more this year, it looks like we didn’t send it to the right address, so I’ve done a bit more digging & found an address from the US Postal Service. I can’t guarantee that this will work but we tried a more generic North Pole address last year & it didn’t work, so it sounds like people have had success with this address. 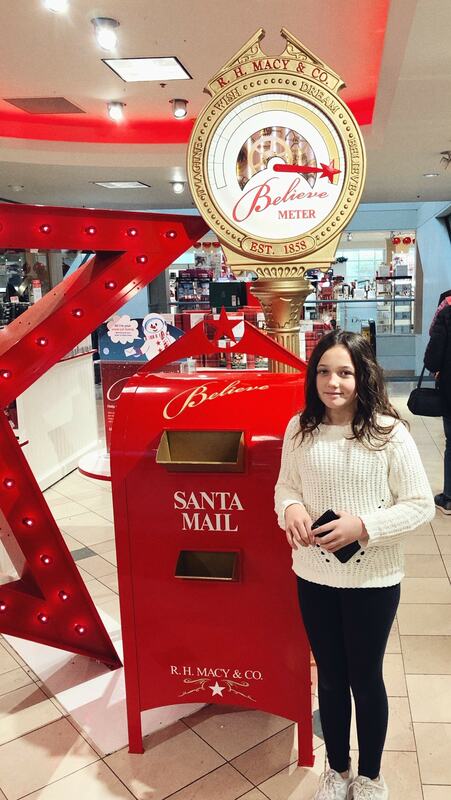 You can also drop your letters off at many Macys locations (this is the Bellevue store pictured above) and support donations to Make A Wish foundation too. You will want to call your local location ahead of time to make sure they have a participating drop box. You can even write the letters online here. Let us know if your child sends a letter and gets a response! We do ours just for fun & it’s fun to send it off in the mail, even though we don’t know if they’ll get a letter back, but it also would be just as fun to give your letter directly to Santa if you go greet Santa somewhere this holiday season. A Letter For Santa.com – this site does not collect any information from you, not even an email, so you don’t have to worry about getting an emails. It just takes the information a child fills out & then pops up with an immediate letter for your child from Santa. What are your favorite ways to send a letter to Santa? 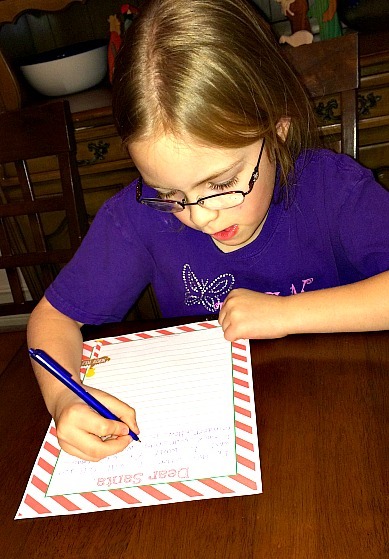 Do you have any creative ways you have given Santa the letters from your kids? So fun to write a letter to Santa! And even better when he writes back. A lovely way to teach and encourage kids about putting pen to paper too. I’m a bit of a stationery geek/hoarder, so I really love your free printable. Thanks for sharing. What great information to get letters back from Santa. 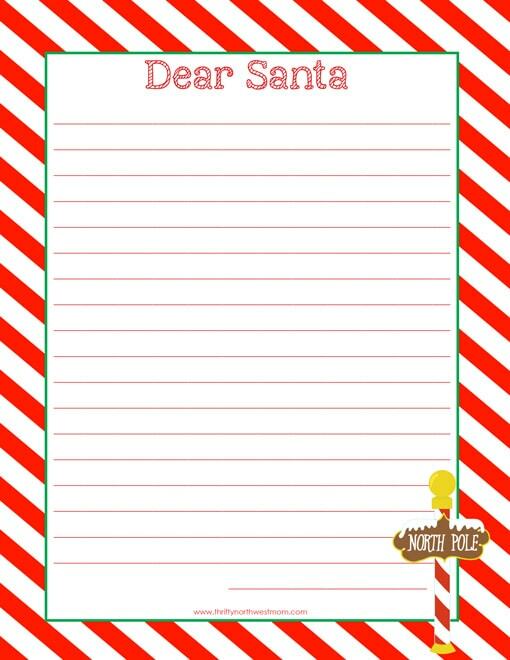 Also, I love your Printable Dear Santa letter they are perfect for the little ones in my life. Thank you for sharing on the Oh My Heartsie Girls Wordless Wednesday.